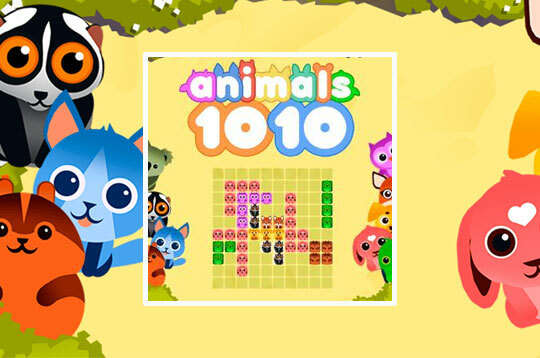 1010 Animals is an addictive game that is easy to learn but hard to master! Your goal is to score as many points as possible. Drop blocks of cute animals on the playing field and try to create complete vertical or horizontal lines. Once a line is full, it is removed from the field. If there is no space to add a block, the game is over. - Play 1010 Animals Free and Enjoy!